Newspapers of New England, Inc. taps TSC for complete press system - Siebold Company, Inc.
TSC’s Bruce Barna, Dennis Schupp, NNE’s Harry Green, Bob Mathewson, Jason Libby, Ben Allen, TSC’s Christopher Miles, NNE’s David Sangiorgio & NNE President and CEO Aaron Julien are pictured in the lobby of the Concord Monitor following a day of participating vendor presentations. 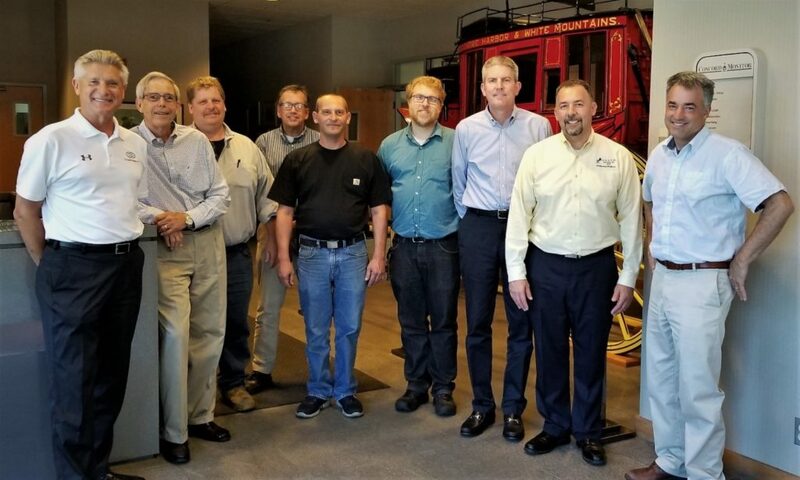 Concord, New Hampshire As part of a long-term investment plan, the Valley News and Concord Monitor purchased a complete reconditioned web offset press system from The Siebold Company, Inc. (TSC), who will also install the press in Concord, N.H. The press system is designed to accommodate the Concord Monitor and Valley News’s publications along with their growing commercial printing business. The Valley News will move its newspaper printing to Concord as part of the change, and all Valley News press and distribution staff have been offered jobs at the new facility. The TSC supplied press system gives the Valley News, Concord Monitor and their commercial printing customers greater page capacity, more color and the best color reproduction in the regional newspaper printing market. The 22-unit web offset press is a highly automated reconditioned Goss / DGM web offset press system fitted with advanced imaging, remote inking, color registration and material handling capabilities. The single wide press system is capable of printing two newspapers at once, and is also capable of printing a wide variety of newspaper formats and sizes, something not possible with their current press equipment. 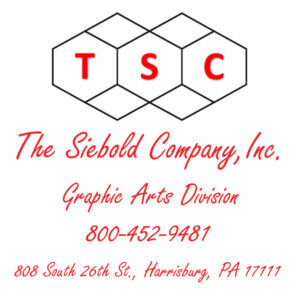 “We chose The Siebold Company to supply the entire press system and manage the entire project based on their depth of expertise and extensive experience”, stated NNE’s President & CEO Aaron Julien.